Time is money in real estate, and as an investor, it’s important you spend your time wisely. By establishing a solid real estate lead generation campaign, you will not only ensure your time is better spent on your business such as seeking projects and closing deals, but it will also keep a steady stream of leads in your pipeline. 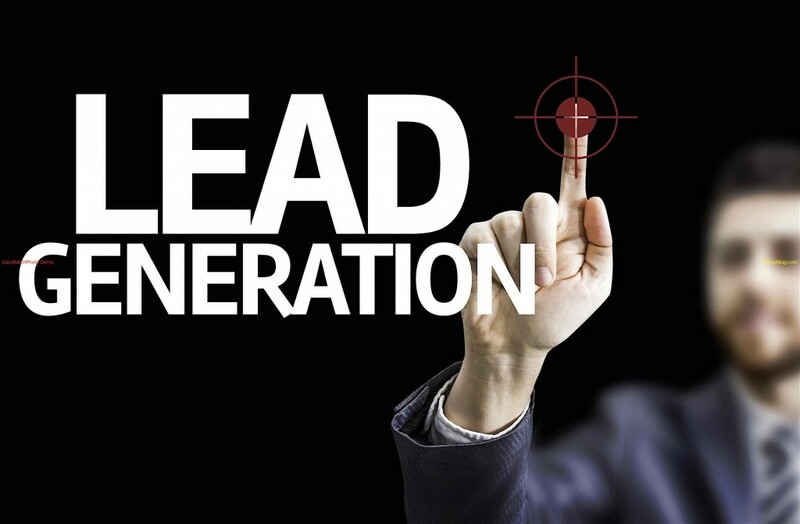 In part one of our three part series, Guide To Real Estate Lead Generation, we discussed what lead generation is, why it’s important to real estate investors, and how to run a successful real estate lead generation campaign including how to cultivate leads. In Part two, we’ll discuss the importance of your buyer’s list and ways to generate real estate leads, including helpful tips to get started on the path for success. Buyers’ List: As the arsenal to your army, a buyers’ list is essentially a database of past, present or potential clients, including investors, buyers, sellers, wholesalers, rehabbers, that will serve as your catalyst for generating leads. With 40 percent of your success correlated to whom you specifically target, you should consistently be adding and maintaining your buyer’s list so when a potential deal develops, you have the proper contacts to move forward quickly. Business Website: With a buyers’ list in mind, it’s important you stake your claim and establish a business website which will serve as the home front to your brand. This will not only help to distinguish yourself among your competitors, including establishing credibility within the industry, but it will serve as your venus flytrap for leads. In terms of real estate lead generation, a quality company website should not only appear professional, but an immediate call to action should be present. While this can be modified a million different ways, a simple contact form with only a few fields to complete (name, phone number, email address) can significantly improve your website’s conversion rate. In addition, running various call-to-action campaigns is something you’ll want to test different versions of in order to maximize your efforts. Wix: This unique platform offers users the ability to create and customize websites free of charge, without needing any coding skills. Weebly: With over 30 million customers and counting, Weebly is the premier website builder of choice, offering customers the ability to create high quality websites, blog and online stores. Moonfruit: Easily construct your next website with Moonfruit’s free website builder. It requires no coding or hosting and it’s free! Go Daddy: If you likely purchased your domain name through GoDaddy, it may be faster and easier for you to create your website here. Once you’ve constructed the foundation of your buyers’ list and have a business-dedicated website, it’s time to start generating interest. One way to do so is create your own content. Content marketing is a great way for real estate investors to get in front of interested buyers while also building trust among readers. The key is to create a real value machine for your market. 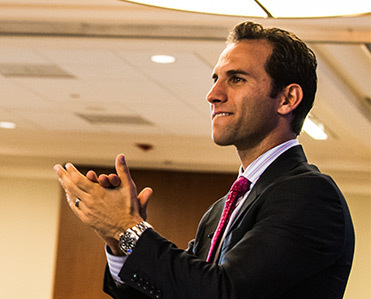 According to Than Merrill, CEO of CT Homes and FortuneBuilders, the goal of content marketing is to build rapport with clients, while also attracting new prospects and providing solutions to client problems. Merely posting and sharing property listing may appeal to some, but it won’t continue for long. The goal of content marketing is to focus on creating quality content that pulls people towards your company. Facebook: With 1.59 billion monthly active users, Facebook is a great starting platform for real estate investors; however it must be treated like the inbound marketing channel that it is. Generating real estate leads on facebook is much more about focusing on website conversions than it is about getting likes. LinkedIn: Believe it or not, LinkedIn can be used for more things than simply getting a job. For real estate investors, it has the power to connect you with millions of like-minded individuals as well as provide an additional platform to promote yourself and your content. Just be careful not to come off spammy as this will could affect your credibility. YouTube: When it comes to generating interest via social media, videos are a naturally fit for the real estate industry. With over a billion users — almost one-third of all people on the Internet — YouTube is a fantastic way to showcase your company and properties. When utilizing social media as a business it’s important to weave a foundation of relationships within your buyers’ list in order to further your aspirations as well as inform people how they can benefit from your business. This can be done by showing genuine interest in people and in what they do, following up on a regular basis to maintain the relationship, while also helping others succeed. As an inexpensive and efficient way to generate leads for your business, direct mail marketing is one of the more powerful and proven marketing tools used today. Along with being measurable, which allows you to track your responses and easily calculate your return on investment, direct mail marketing is simple to execute — even for beginner real estate investors. A direct mail marketing campaign can also help locate new projects and properties. To ensure you are capitalizing on all aspects of your campaign, make sure to include in your mailing list: pre-foreclosure property owners, out-of-state landlords, probates and inherited properties, free-and-clear landlords, expired listings and delinquent property tax list. Networking is imperative as a real estate investor. As the foundation of your buyer’s list, it’s critical to not only be constantly meeting new people, but developing new connections in order to maintain your pipeline of leads. For real estate investors, a successful real estate lead generation campaign is not only well thought out and concise, but it’s imperative to ensure the good times keep rolling. In the upcoming part three, we’ll discuss lead management and how to monitor and nurture your leads until they become sales. What does your real estate lead generation campaign consist of?